Complete a detailed plan, outlining every point you want to cover in your writing. This will give your writing a clear structure, helping you to remember to include everything and to avoid repetition. This doesn’t have to be a detailed plan, it simply needs to show each section of the assignment and have bullet points to show what information you are putting where. Then, when it comes to writing the assignment up, you can simply expand upon your plan. Do your research before you start writing. Make sure you have quotes and references to back-up your points and amend your plan of the essay to fit in any new information you may have found from your research. Avoid using first person and making the essay personal. Phrases that include ‘I’ and ‘You’…such as “I think that the hypothesis is correct”, should be kept to a minimum. Instead, try saying “the results indicate that the hypothesis was correct”. Try not to use bullet points in your writing, bullet points are too informal for an essay. Instead correctly use paragraphs to separate the different ideas. Wherever possible, back up your arguement with a quote from a professional. But do ensure the quote is relevant and actually backs up your arguement. Also keep in mind where you are sourcing the quote from, a wikipedia quote won’t have the same effect as a text book quote. The relevancy and source of the quote, is moe important that the amount of quotes you include. Quality over quantity. If you are asked to argue for a particular side, this doesn’t mean only write the positive things about it. In fact, your marker will want to see the negatives too. They will want to see that you have taken everything into consideration and you have made an informed decision. Avoid being too wordy, why use 50 words when 10 will do? Using all the fancy words you know is not going to make your assignment higher quality. In fact, it will use up valuable word count, it might look like you are trying to waste word count by waffling and it might even be confusing for people. Keep your writing concise and to the point. If you are going to use fancy words to wow your reader, make sure you know what they actually mean. The same applies to using phrases like “you’ve made your bed now lie in it”, always make sure you have the phrase correct before you use it. Make sure you reference your work properly. 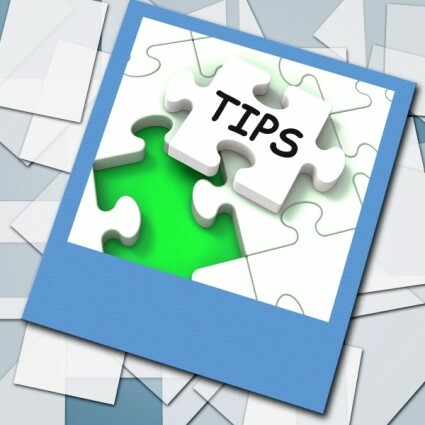 Every quote and piece of information you have included, should be properly referenced. Find out what referencing system you should be using and follow the guide to detail where you sourced your information from. Remember, you work will most likely be checked for plagarism, if you’ve used a quote or information and haven’t referenced it properly, you might be reprimanded for plagarising. Always, always check your work. Read, proofread and then repeat the process. It is a good idea to have someone else read through your work too, as they are more likely to spot errors. As they have not written the document, they don’t know what is should say, whereas your mind will correct errors, knowing what you meant to write. If you require any further help with your assignment, contact Lisa Thomas Writing Services. I can help you to plan and proof read your assignment and get the grade you deserve. Contact me to find out more about how I can help with your assignment, or take a look at my writing charges.